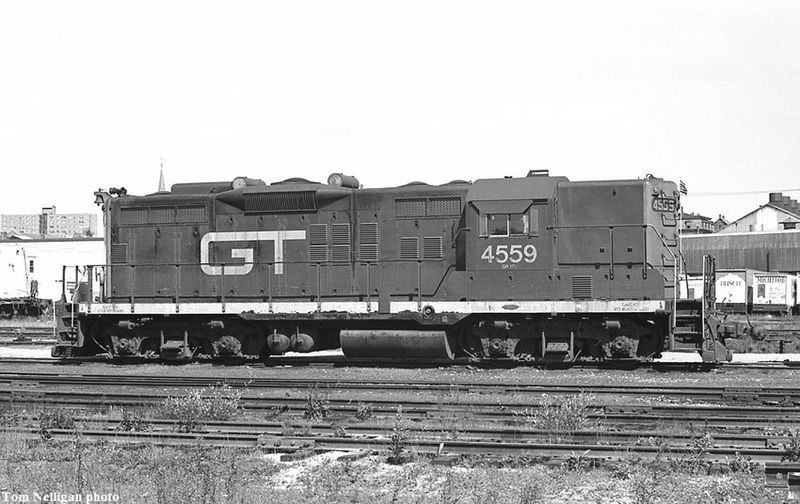 In 1956-57 the Canadian National purchased 16 GP9s for its Grand Trunk subsidiary, four boiler-equipped passenger units and a dozen freighters. GT 4559, one of the latter, posed in the now-vanished Portland yard while assigned to local freight duty. These GT engines could also be commonly found working on the Central Vermont.